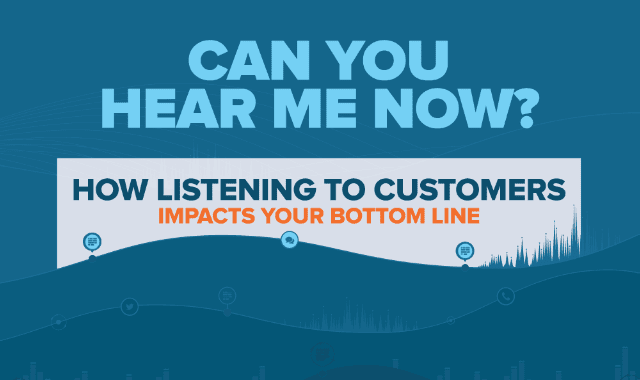 How Listening to Customers Impacts Your Bottom Line #Infographic ~ Visualistan '+g+"
Among consumers, 82% have changed suppliers at least once in the last five years. Citing reasons like high prices or rates and serious unresolved issues, there’s a lot that an drive a customer away. So how do businesses keep them sticking around? As well as expecting quality goods and services, consumers also expect quality customer service. Over 80% of customers say they would switch suppliers after a bad call center experience, making just one positive impression invaluable to preventing customer churn. In customer service, a little knowhow can go a long way as customers expect call center staff to be knowledgeable on products, personal service history, and to be proactive in expressing solutions for problems what what’s being done to solve them. Are you there to listen to your customers and help them feel heard? Take a look at this infographic for more on the state of brand loyalty and how you can keep your consumer-base strong.